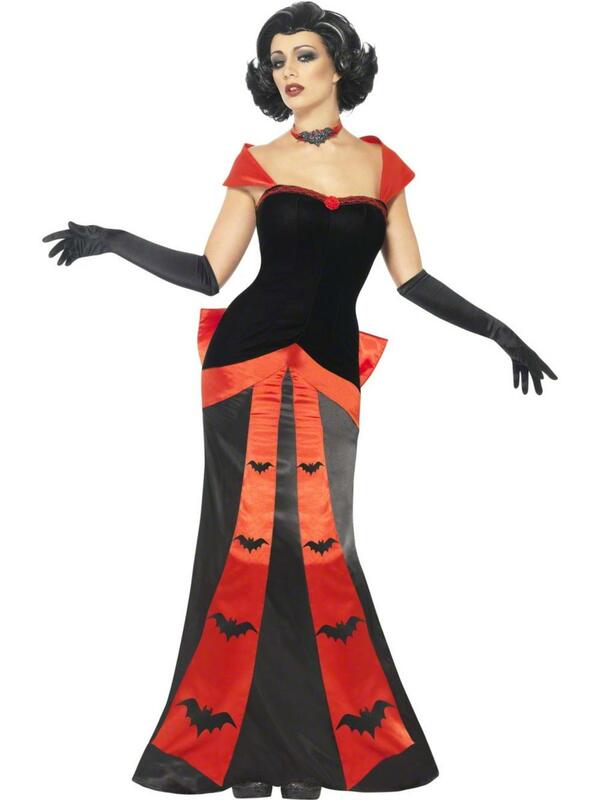 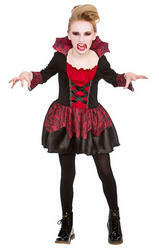 Included in this vampire costume is a sleeveless long black dress, the upper is decorated with a frill trim, rose decoration and stylish silk effect blood red strap. 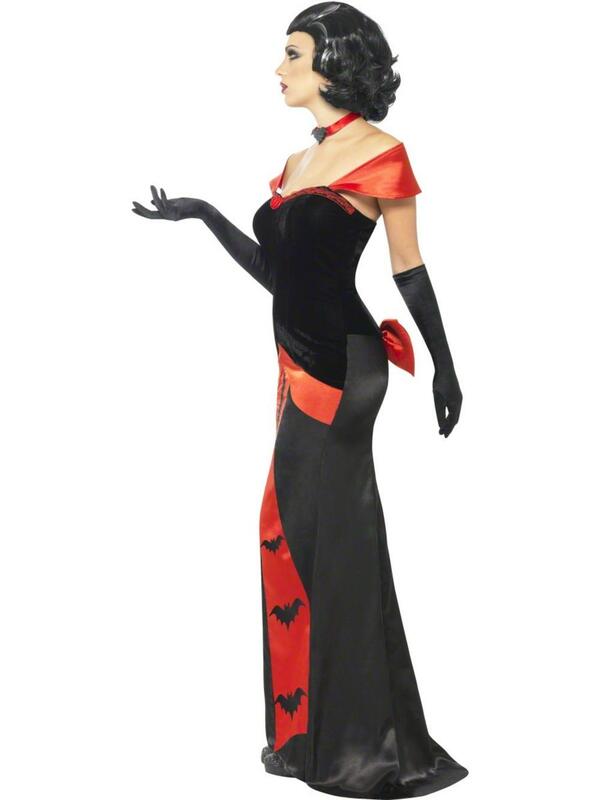 The lower consists of a sleek black skirt styled with two red sections decorated with black bat print and an oversized red bow situated at the back of the dress. 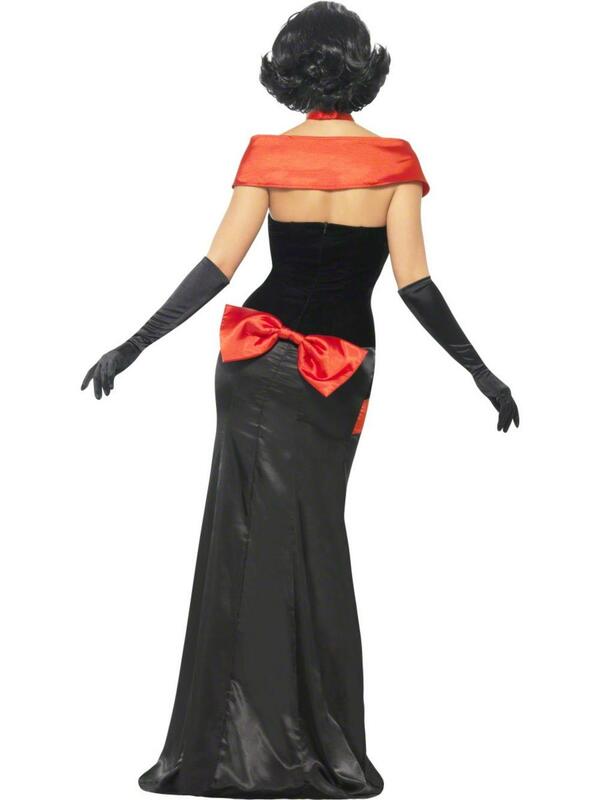 A pair of long black gloves and choker complete this ladies countess fancy dress.